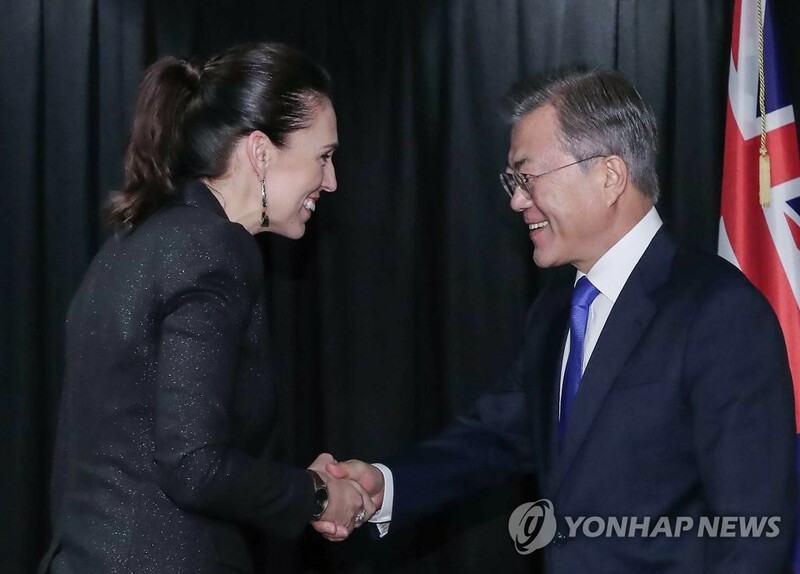 AUCKLAND, Dec. 4 (Yonhap) — South Korean President Moon Jae-in and New Zealand Prime Minister Jacinda Ardern agreed Tuesday to further enhance their countries’ cooperation in various areas, including trade and Antarctic research. 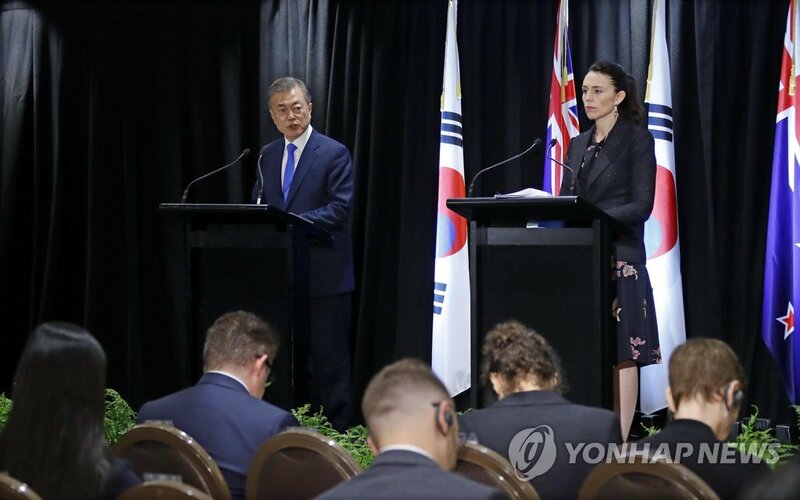 “While noting that the South Korea-New Zealand FTA that went into effect in 2015 is providing a strong institutional foundation to promote trade and investment between the two countries, the two leaders agreed to develop more cooperation projects that would benefit their people in the agriculture industry, where New Zealand has strength, and the infrastructure and construction sectors that South Korea enjoys leadership in,” Moon’s presidential office Cheong Wa Dae said. “The two leaders also agreed to work for an agreement on cooperation in military supplies so the countries’ cooperation in the defense industry will be further expanded,” it added.